PANGMAN, PETER, fur trader; b. 30 Aug. 1744 in Elizabeth Town (Elizabeth), N.J.; m. 28 March 1796 Grace MacTier in Montreal, Lower Canada, and they had nine children of whom four survived infancy; d. 28 Aug. 1819 in Mascouche, Lower Canada. In 1774 Fulton left the partnership to become an independent trader on Lake Timiskaming, and the three remaining partners now held equal shares. Pangman moved to the Saskatchewan River: Samuel Hearne*, in charge of the HBC’s Cumberland House (Sask. ), noted in June 1775 that Pangman was settled some 150 miles upstream from him, as were Charles Paterson, “Francis” (François Leblanc, dit Latour, known to the Indians as Shash or Saswee), and William Holmes*. By 1777 Pangman had moved farther westward to Sturgeon River Fort, on the North Saskatchewan at the mouth of the Sturgeon River (Sask. ), where Peter Pond also spent the winter of 1777–78. As the partnership of Pangman, Oakes, and Boyer was coming to an end in 1778, Pangman sought association with other traders. That year he was involved in the establishment of Fort Montagne d’Aigle (in the Eagle Hills, Sask. ), nine miles below the confluence of the Battle and North Saskatchewan rivers. During the winter of 1778–79 he was a member of a traders’ alliance which included Holmes, Booty Graves, Robert Grant, and Charles McCormick. This was one of the early associations, designed to lessen competition, which eventually led to the formation of the North West Company. Maltreatment of the local Crees by John Cole* and others resulted the following spring in the Indians killing Cole and one of Pangman’s men, and evicting the traders from their stronghold. By 1779 Pangman was in partnership with John Ross, and during the 1779–80 season the first NWC appears to have come into being, “Ross & Co.” holding one of 16 shares. Pangman spent that season and the ensuing winters until 1782–83 at Sturgeon River Fort, once rebuilding it after a summer in which the local Indians, probably Crees, had burned it down. 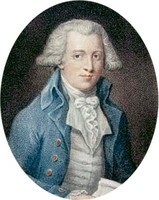 William Tomison*, in charge of the HBC’s Hudson House (about 30 miles farther up the North Saskatchewan), referred to him in February 1783 as “Chief Master” at Sturgeon River Fort. Although involved in early cooperative ventures among the traders on the Saskatchewan, Pangman was not included as a shareholder in the NWC agreement of 1783–84. 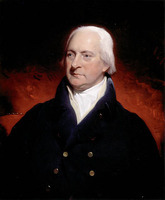 He and Peter Pond, who was dissatisfied with the offer of only one share in the new concern, went to Montreal with the aim of persuading John Gregory and Normand MacLeod*, partners in Gregory, MacLeod and Company, to support them in opposition. Pond soon changed his mind and returned to the west to take up his NWC share. Pangman and his associate Ross, also excluded from the new organization, prevailed upon Gregory and MacLeod, who in 1784 admitted them, with Alexander Mackenzie, to partnership in the firm. That year Pangman wintered on the South Saskatchewan River in competition with his former ally, Holmes. In the heat of subsequent rivalry with the NWC, Ross, who in 1786–87 was opposite Pond some 40 miles up the Athabasca River from Lake Athabasca, was killed by Pond’s men during the winter. In order to avoid further bloodshed the two concerns united in 1787 to form the new, 20-share NWC, in which each of the four remaining partners of Gregory, MacLeod, including Pangman, held one share. When the agreement was renegotiated three years later he increased his holdings to two shares. 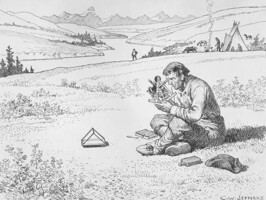 In 1790 Pangman travelled up the North Saskatchewan River to a point three miles above present-day Rocky Mountain House (Alta), farther upstream than any white trader had gone until that time. He commemorated his achievement by blazing a spruce tree which became a landmark to later travellers such as David Thompson* and Alexander Henry. On 1 Aug. 1793 Pangman left the west for the last time, setting out from Grand Portage (near Grand Portage, Minn.) with Robert Grant and others for Montreal. John Macdonell* recorded their departure with regret, noting at the same time that Pangman and Grant “retire from the concern with handsome competancies.” On 3 Nov. 1794 Pangman bought the seigneury of Lachenaie, near Montreal, from Jacob Jordan*. In 1792 he had subscribed five guineas to the building fund for the Scotch Presbyterian Church in Montreal, and there on 28 March 1796 he married Grace MacTier. 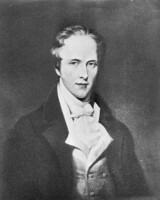 One of their sons, John, in 1837 became a member of the Legislative Council of Lower Canada. Pangman was also the father of a mixed-blood son known as Bastonnais Pangman (his given name may have been Joseph), who was prominent in Métis resistance to the attempts by Lord Selkirk [Douglas] to colonize the Red River district. Peter Pangman died in his residence at Mascouche on 28 Aug. 1819. Private arch., J. B. Pangman (Toronto), A. J. Van Den Bergh, “Pedlar Pangman of the Saskatchewan” (typescript, 1963). Les bourgeois de la Compagnie du Nord-Ouest (Masson), 1: 10, 35, 38. Docs. relating to NWC (Wallace). Five fur traders of the northwest . . . , ed. C. M. Gates ([2nd ed. ], St Paul, Minn., 1965). Journals of Hearne and Turnor (Tyrrell). New light on early hist. of greater northwest (Coues). R. Campbell, Hist. of Scotch Presbyterian Church. Morton, Hist. of Canadian west. A. S. Morton, “Forrest Oakes, Charles Boyer, Joseph Fulton, and Peter Pangman in the north-west, 1765–1793,” RSC Trans., 3rd ser., 31 (1937), sect.ii: 87–100. In Collaboration, “PANGMAN, PETER,” in Dictionary of Canadian Biography, vol. 5, University of Toronto/Université Laval, 2003–, accessed April 24, 2019, http://www.biographi.ca/en/bio/pangman_peter_5E.html.